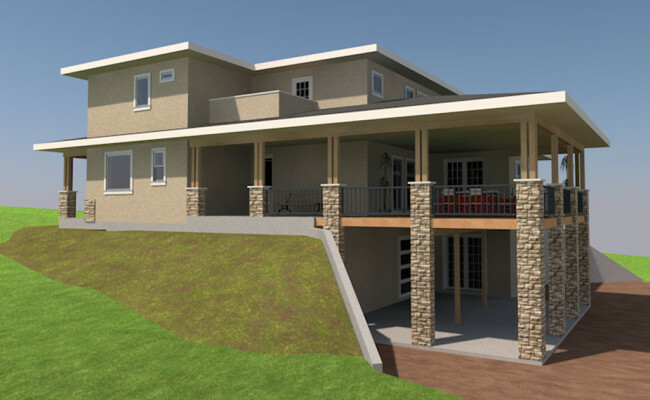 Architectural & Structural Design and 3D Visualization for 3,500 sqft two-story custom builder’s home. 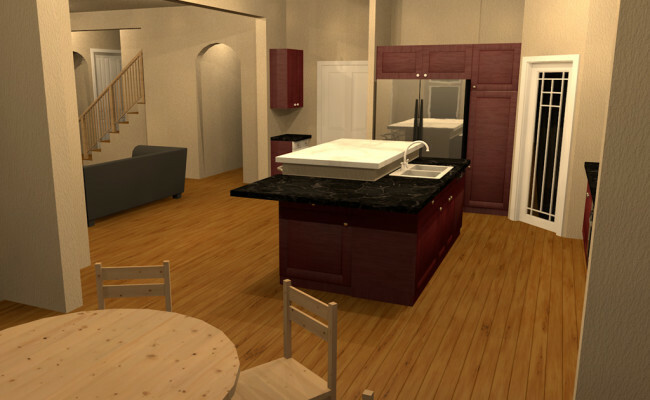 Master suite with 5-piece master bath, separate his/hers walk-in closets, and private balcony; 3 secondary bedrooms; formal dining room; kitchen with large breakfast nook; great room; office; upper level loft; expansive covered rear deck over a walkout basement; basement vault-under-patio. 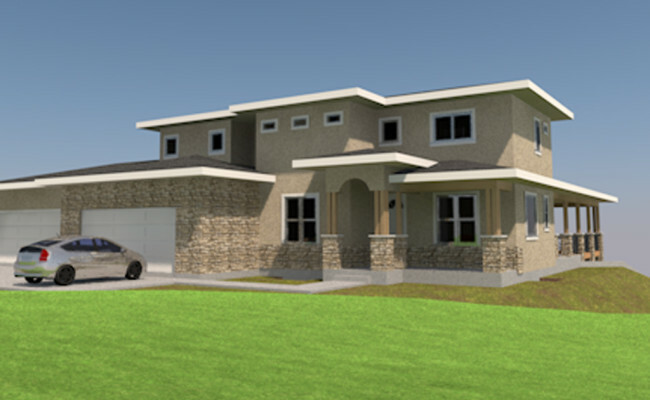 ICF exterior walls with SIP incorporated at story offsets.